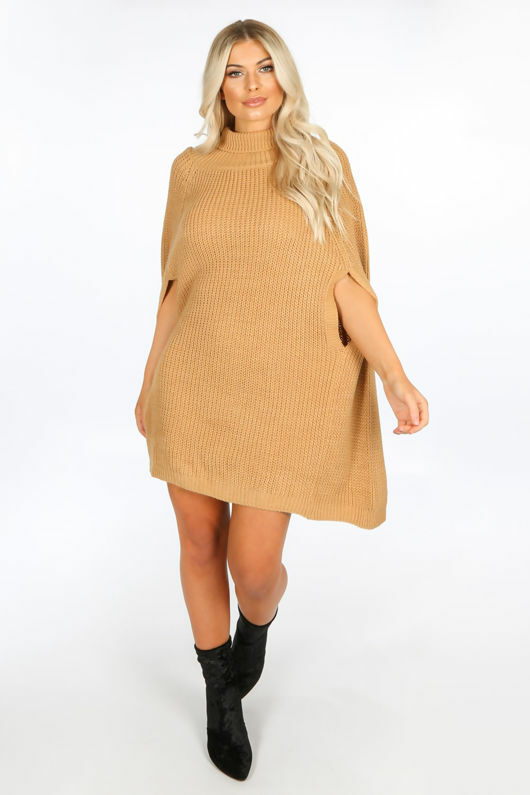 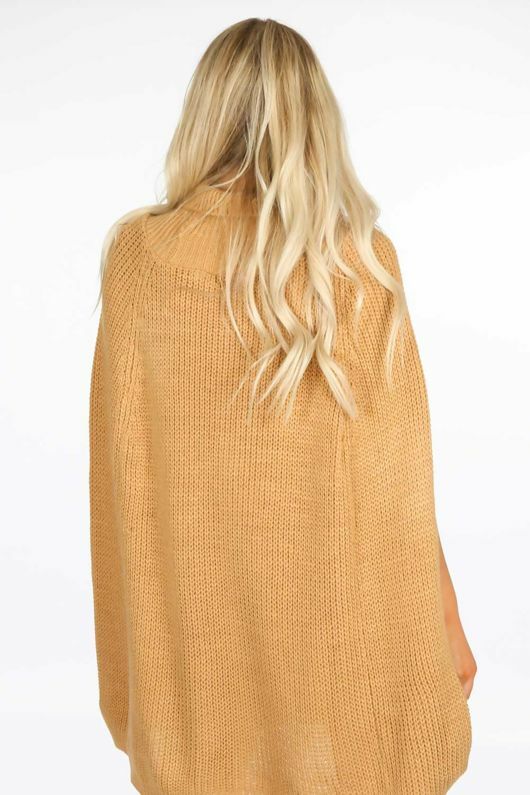 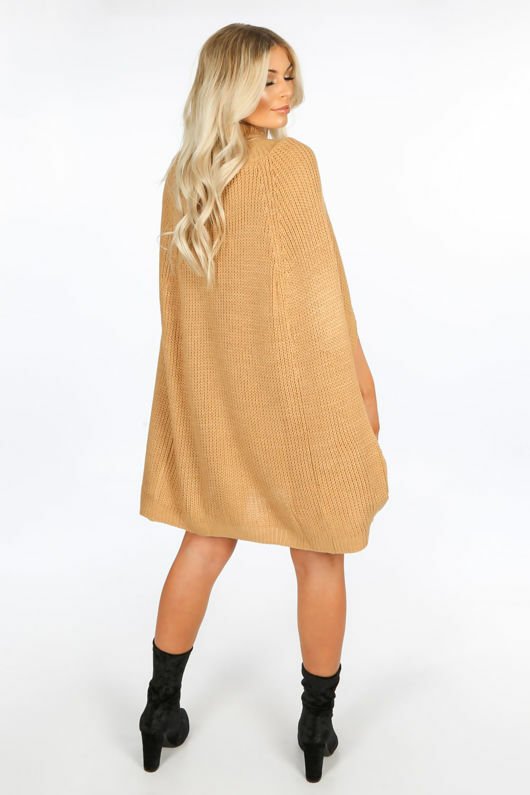 Keep it cosy in the Camel Knitted Poncho Dress. 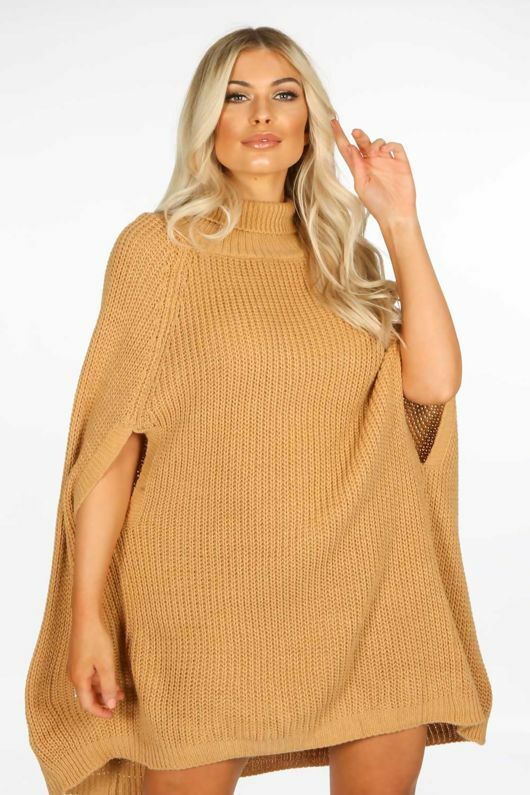 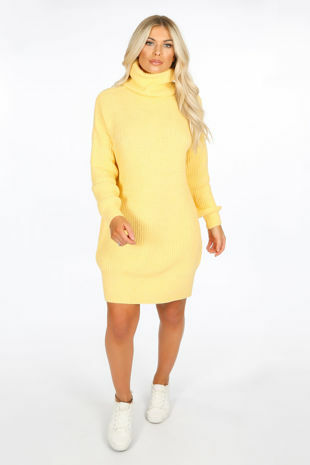 The perfect winter essential, this piece is made from a soft knitted fabric and is oversized making it great for layering. It has a roll neckline and slits for your arms. 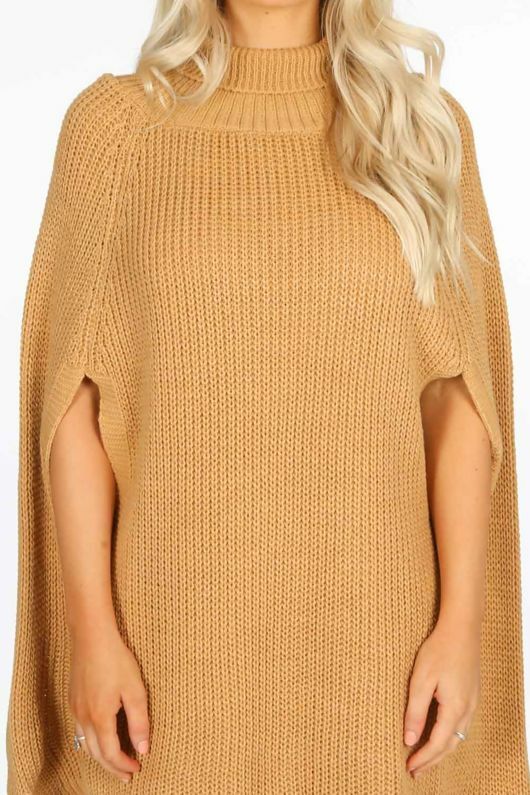 Accessorise this for everyday wear with a pair of thigh high boots and a matching tote bag.